Launch your tech career this summer in Tel Aviv with a 10-week internship as junior software developer in one of Israel's top tech companies. Our Elite program is designed for excellent Computer Science/Software Engineering students from leading academic institutions. The internship will help you gain the skills you need to begin a successful tech career while enjoying an international experience with excellent CS students like you. ITC opens the door for talented young professionals from around the world to pursue careers in technology, in the heart of the startup nation. Our programs offer the most in-demand skills in tech, like cyber security, data science and full stack development. To date, we’ve introduced over 500 new developers to the hi-tech industry. The Summer Internship program is designed for top-of-the-class, excellent and driven Computer Science/Software Engineering students in their 2nd or 3rd year of school in a leading academic institution. 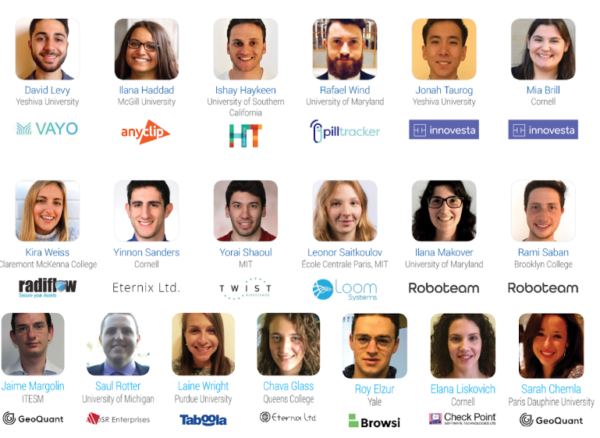 The students that will be accepted to the program will be matched with one of Israel’s most innovative tech companies and intern for 10 weeks as junior software developers. This Onward Israel program is operated through a partnership with Israel Tech Challenge (ITC). Students who are accepted are matched with a Tel Aviv based tech company to intern as junior software developers. Our placement team will connect you with different companies in order to schedule online interviews and will help you prepare for them in the best way. A 10-week Internship in some of the most innovative tech companies and startups in the Israeli high-tech industry, that will help you gain the skills to launch a successful career in tech. All participants are responsible for cost of and arranging their own flights. Admission is currently open. Applications will close March 2019 or earlier if the program fills. We offer 20 seats for the 2019 Interns program. Internship placements in Tel Aviv, housing, insurance, full educational program that includes day trips and activities and other program costs. Apartments style housing in central Tel Aviv area.